People often ask me why I invest in domain names. Here’s why. It’s easy to throw up a list of the top 100 domain names sold and be amazed and the sales prices, but domains like Insurance.com, Hotels.com and Toys.com selling for multiple millions of dollars are not representative of investing today — because many of these domains were hand registered in the 1990s and held by the initial owners for decades. So in this video, I’m going to show you what sales ARE representative of domain name investing TODAY. The domains I’ll show you are hand-selected by me from reams of sales data because I think they were good domain names investments with commercial appeal to businesses. If I’m going to buy physical land, I don’t want to buy it in the middle of the dessert. I want to buy appreciating land close to cities and people, where it’s desirable. Same for domain names. So for each domain name, I’ll tell you when it was bought and sold, the purchase and sale price, and the profit and return on investment. All the data in this video is from 2011 to 2017. Past performance is not indicative of future results, and I am not making investment recommendations. And before we jump into the data, special thanks to Michael Sumner and NameBio.com for pulling data and supporting our analysis in this video. Investing in any of these six types of doman names requires knowledge, skill and practice. But once you know what is selling in each category, you can then wait for opportunities to cross your path and be a sniper…picking off exactly the types of domain names you want at prices you know are under market value. So let’s look at a few representative sales from each category. Generic words are in the dictionary, but have no direct product or service. Think Amazon.com or Apple.com. Without their marketing efforts you may not know what you would find at their websites, but once a brand is built it can be stronger than Fort Knox. Keyword domain names are in the dictionary and can be associated with a product or service. Think Shoes.com or EmergencyShelter.com. You know exactly what you’re going to find when you visit those domain names. Brandable domain names are usually a mix of words plus something else, like a modifier or adjective. Think Facebook.com or Instagram.com. You might have an idea what they do, but brandables require a company to build a brand. Acronyms are simply a series of letters. The shorter the better. For example, Z.com is worth more than ZZ.com, which is worth more than ZZZ.com. Tons of companies like law firms would rather use a shorter acronym for their company website and email addresses. Think International Business Machines using IBM.com or Google rebranding their holding company to Alphabet and choosing ABC.xyz. Numerics are a simply a series of numbers. Numerology is a cornerstone of many cultures around the world. In addition, in some non-English languages, navigating the web is easier only using numbers. Think 123.com or the mega-popular Chinese website, 360.cn. Alphanumerics are mixed letters and numbers, and while they’re definitely less popular than acronyms and numerics, we are seeing investment and sales in this space as well. 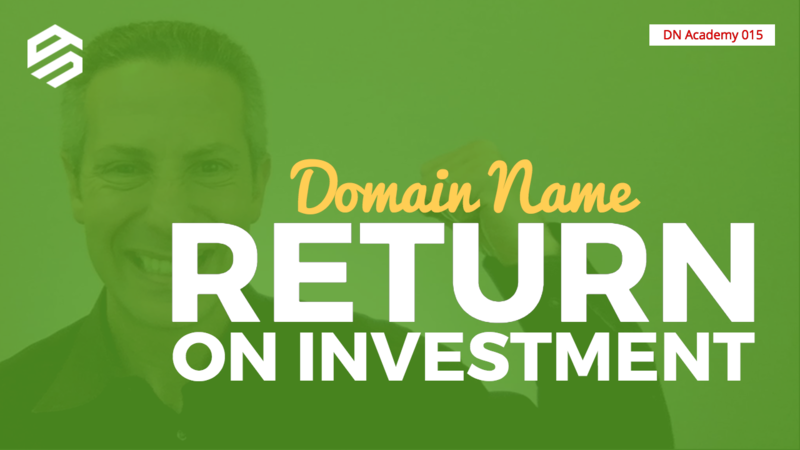 So we can see that in all six types of doman names, making smart investments in under-market value domain names — or holding domain names and waiting for appreciation — can yield tremendous results. Again, investing in any of these six types of doman names requires knowledge, skill and practice. Thanks for watching. I will point my family to this post when they ask why I invest! Thank you for this amazing information! Thank you, as always, very educational, much appreciated !